This book is a compilation of the proceedings from a conference held at the Pontifical University of the Holy Cross, Rome, March 25-26, 2004. 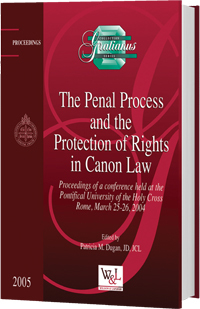 The conference--and subsequent compilation--focused on The Canonical Penal Process. It includes the contributions of twelve important canonists.